The Rev. Billy Graham, the charismatic North Carolina pastor who took his evangelizing crusades around the country and the globe, died on Wednesday morning, according to officials of his organization. He was 99 years old. Evangelist Billy Graham, the man who preached the gospel to people across the globe. Many came to Christ listening to his preaching, many re-committed their lives listening to the sermons that Billy Graham preached. Televangelist Joel Osteen told CNN that Graham was his hero, and said the best way to honor him is for Christians to continue what he started. Graham began his missionary work in 1944 by speaking at rallies for the Youth for Christ Campus Life ministry. 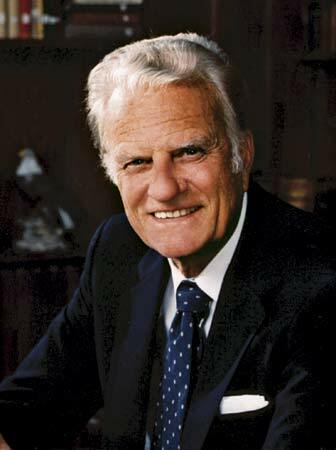 The next year, Graham founded the Billy Graham Evangelistic Association. The crusades, which soon became the signature feature of his global ministry, frequently blended well-known hymns, preaching and patriotic displays. Graham’s crusades mobilized hundreds of volunteers not just from his own evangelical movement but also from liberal Protestant congregations and Catholic parishes. His inclusive message — he said that theological differences were less important than Christian comity — angered some fundamentalists, who fulminated when he shared the stage with Catholic or liberal Protestant ministers.